SmartCards are everywhere now. We use them in our day to day lives. So, it’s important that we know more about them than just that they exist. In this article, we are going to take a look at everything you need to know about SmartCards to be properly informed. A SmartCard looks like a regular credit card or debit card but it is far more than just a simple piece of plastic. It features what most people simply refer to as a “chip”. This chip`is an embedded microprocessor under a gold contact pad. These SmartCards have been around for about a decade now and while they have been in use in Europe, they are just starting to take off in the United States. Due to their high storage, SmartCards can usually serve more than one function at a time. For example, instead of carrying different credit cards, some SmartCards will be able to function as multiple cards to declutter your wallet. This is usually done by swiping old school cards into an app and adding them to your SmartCard’s storage. 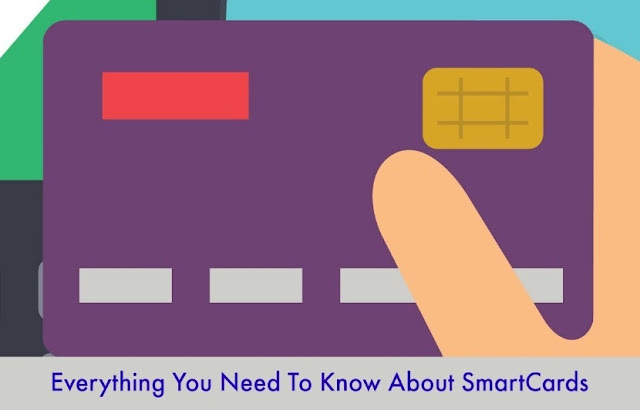 SmartCards are preferred by many because they are safer and more secure than your average credit card. This is because the host computer and card reader communicate with the microprocessor, which enforces access to the data on the card. However, SmartCards can also be contactless. This is when the card reader can read your SmartCard without having to insert it. This works because contactless SmartCards contain an antenna embedded in the body of the card. Once the card is brought into the range of the electromagnetic field of the reader, the same transfer of information happens as when a contact SmartCard is inserted into a reader. Exactly how close the card has to be to be read depends on the power of the reader, the antenna of the reader, and the antenna of the card. SmartCards are accepted almost anywhere that your regular credit card would be accepted. Think about smart bank cards; you can use them in almost any grocery store now. The acceptance of other types of SmartCards just continues to grow! The United States is starting to catch on to this, however, Europe has an even further acceptance of these cards. So, if you find yourself in Europe, nearly everywhere you go will accept and expect this form of card.